GO HARD! 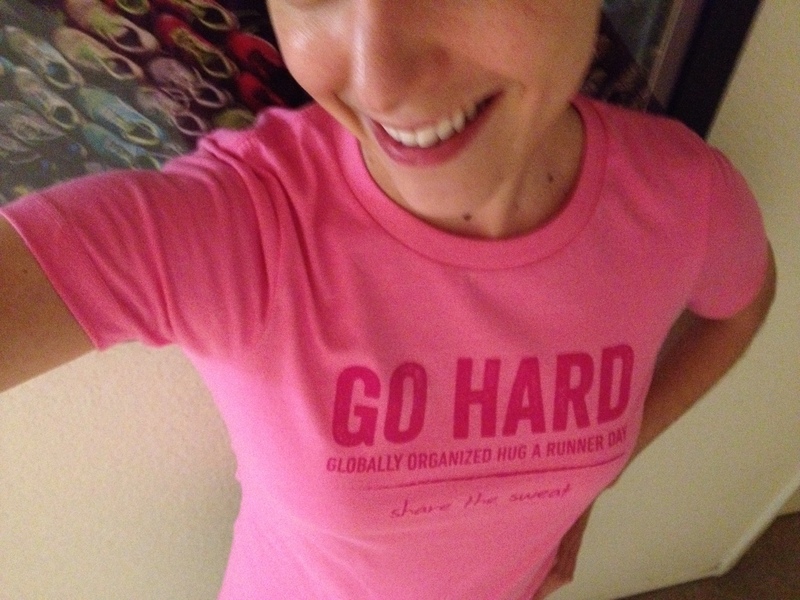 I’m back from my run—who’s ready to share the sweat? Thanksgiving is around the corner, but before we share our gratitude over a table full of food it’s time to celebrate Globally Organized Hug A Runner Day (G.O. H.A.R.D.) with a little swapping of sweat! Runners come in all shapes, sizes, and speeds, and no matter how far we’ve come or how many more miles we’ve got left, it’s awesome to take a moment to give thanks for each other and the thing that brings us together—running! Michael K. Farrell slogged it out on a treadmill last night in preparation for next week’s Turkey Trot (which I lovingly signed him up for without telling him), so he gets the first real-life hug of the day from me. Who else wants one? I’ll be hanging out in the Mission in San Francisco today with my arms wide open! Are you celebrating G.O. H.A.R.D.? (Of course you are!) Who will you be hugging today? Yesterday my phone tweeted me an alert that I am the recipient of an award. My first thought: “Yes! I won!” My second: “Wait, I don’t remember entering any contests.” Turns out, it’s a little pat on the back from Caroline of I Heart Running, a fellow blogger who happened upon Some Kind Of Runderful a few months ago. I would like to thank all the roads, sneakers, races, and running buddies that have contributed to my success along the way. One of the amazing things about being a runner is the amount of support the community doles out to one another. You feel it in a smile of commiseration at the track, a nod of acknowledgement on the trail, and in all those finish line cheers. That sense of support and community is one of the reasons why I’m hooked on running, and it’s a big part of why I started this blog. We all need positive feedback in life, and it’s so easy to give. Thanks for the shout out, Caroline! I’m thrilled that we’re in this together! 2. Thank the person who presented you with the award and link back to him or her in your post. 4. Pass the award along to 10 of your favorite bloggers. 5. 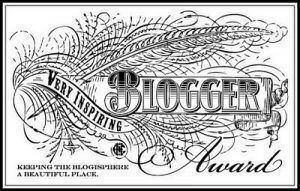 Contact your chosen bloggers to let them know about the award. I haven’t used anti-perspirant in months and I smell fine (I think). I always over do it during strength workouts—DOMS gets me every single time! I’m 33 years old and my favorite place on earth is still my Gramma’s lap. I think hummingbirds are incredible. I loathe washing silverware by hand. I believe being active and noshing on healthy foods can help YOU find your Some Kind of Runderful life, too. 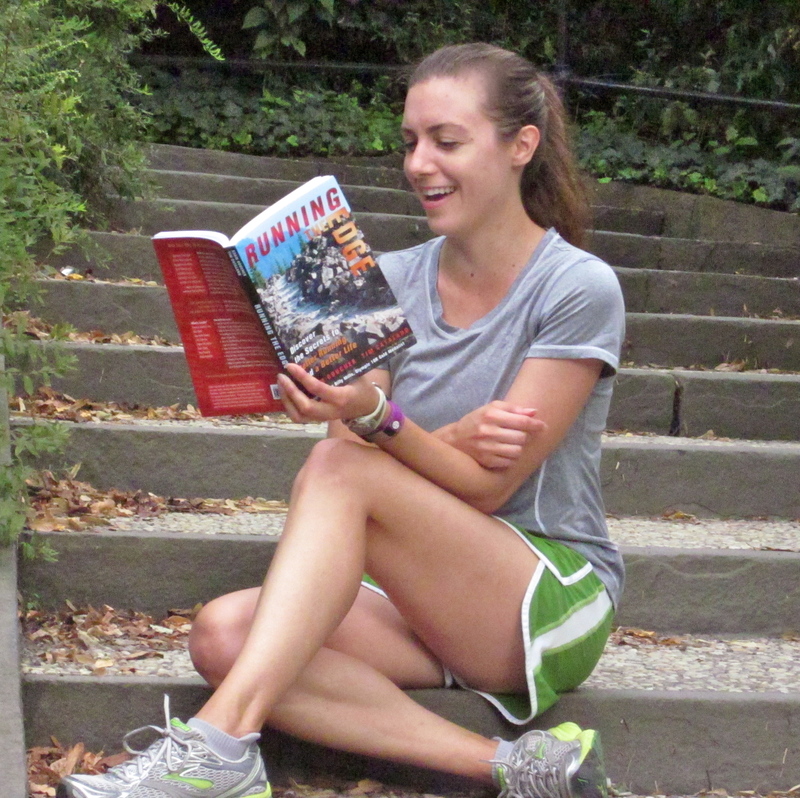 What do you love about the running community? Who are your favorite bloggers? Giving out hugs at Everest Base Camp. Standing at the bottom of the world’s highest peak, 5364 meters above sea level, makes you feel pretty small. But it also makes you realize how significant you are in this world. 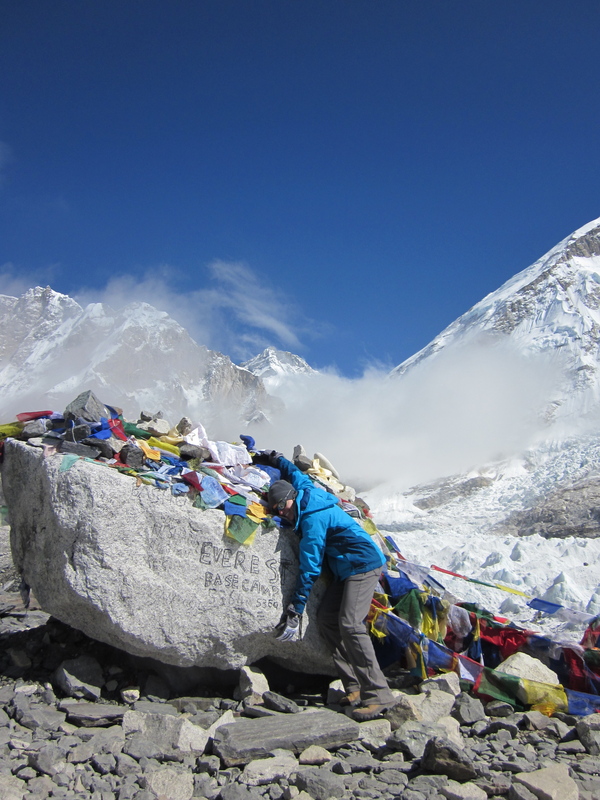 Last Sunday I made it to Everest Base Camp in one piece with a big smile, and not even a blister to complain about! (Photo to come ASAP.) It’s taken me a while to process the experience and internet connections in Nepal’s Khumbu region are spotty and expensive—which explains why this post is a week late. Climbing up hills that on any other part of the globe would be considered mountains was physically tough (duh), but it was mentally challenging too—something I really wasn’t expecting. I found myself relying on running mantras to get me through hours of grueling ascents. I repeated the simple-yet-effective, “I feel good,” when I thought I couldn’t go any further. (Thanks, Tim Catalano!) And at one point the words “I run marathons. I don’t quit!” floated through my head. That’s when I remembered how truly loved I am. In all three of the 26.2’s I’ve completed, I’ve had the endless support of my family and friends. I couldn’t have crossed those finish lines without them. So up there, just a few meters away from the base of a mountain half a world away from the people who mean the most to me, I tapped into those connections and felt a sense of warmth and love. It was exactly what I needed to pull me out of the oxygen-deprived stupor and convince me to keep moving my feet. Today, I’m heading to the Annapurna Circuit where I will encounter 18 more days of hiking at elevations up to 5400 meters. And you can bet I’ll be soaking in all of the good vibes you send my way. Love and Namaste to all!